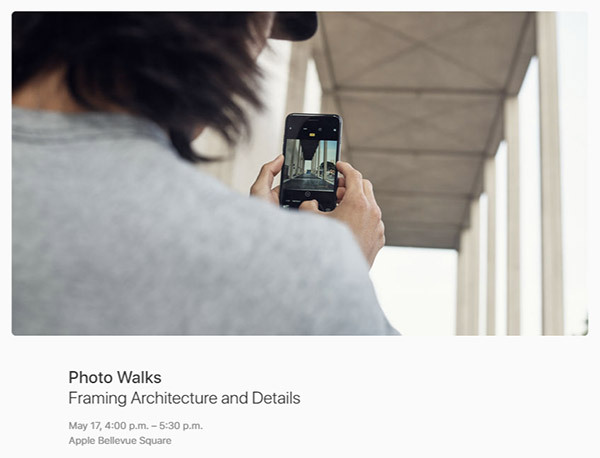 “Today at Apple” kicked off this weekend with new in-store programming around the world, including Photo Walks and Kids Hour at all 495 Apple stores. From Getting Started with Coding to How To: Sketch, Draw and Paint with iPad, stores collectively hosted 4,000 sessions a day, including some with very special guests. Customers use iPad Pro and Apple Pencil as they learn from master illustrator Todd Selby. Movement artist and star of Apple’s AirPods commercial, Lil Buck, shows off his moves in the Forum at Apple Union Square. Multiplatinum artist, songwriter and producer Charlie Puth gives an intimate performance at Apple Union Square. Leon Bridges gives a soulful “Today at Apple” performance to end the day of sessions at Apple Union Square. During a Live Art session with French illustrator mcbess at Apple Regent Street attendees share their own work following his signature style—graphic illustrations without color. iPhone photographers cover two miles in 90 minutes as they seek out fashion-forward portraits with photographer Shingi Rice. iPhone photographers hit the streets of Brooklyn for a portrait-themed Photo Walk with Timothy Mulcare. Music Lab: 18-year-old Steve Lacy earned a Grammy nomination for his work with The Internet — producing it all on his iPhone. Aspiring coders of all ages can learn how to code in Swift, Apple’s programming language for iOS and Mac apps. Up-and-coming pop sensation, Sigrid, performs tracks off her debut “Don’t Kill My Vibe” EP at Apple Marché Saint-Germain. To find and register for a session visit www.apple.com/today.